If there’s one thing that makes me take notice, it’s an absurdity. Something that just stands out and makes me scratch my head. That was certainly the case today when I saw that Wonder Boy: The Dragon’s Trap is coming to PC and consoles. While a new game release by itself isn’t that curious, it is when it’s a remaster of an ancient 1989 Sega game. I had never heard of Wonder Boy, so I did some research. 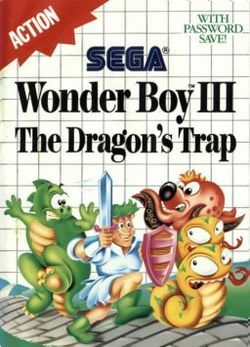 Apparently, the new Wonder Boy: The Dragon’s Trap is based on Wonder Boy III: The Dragon’s Trap, which apparently is an early Metroidvania. While they share the same basic components, the graphics got a HUGE facelift, and I can only imagine they have improved many other features in the 27 odd years since the original release. As for the gameplay itself, it revolves around transforming into various forms to fight your way to the Meka-Dragon who cursed you in order to lift said curse. As you make your way through Monster Land, you will also transform into a Hawk, Lion, Lizard, Mouse and Piranha, which is sure to offer lots of ways to explore. 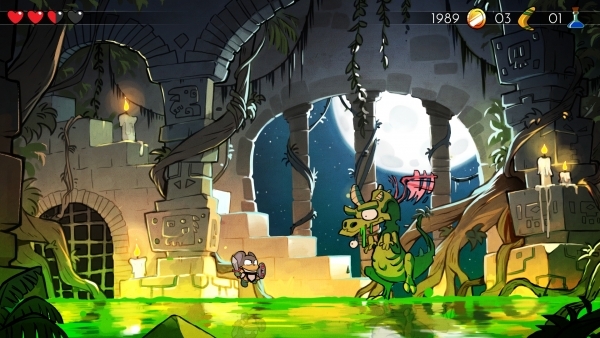 If you were a fan of the original, fear not, as Wonder Boy: The Dragon’s Trap is being developed in collaboration with the original creator Ryuichi Nishizawa, so it should be a faithful remaster. To see more of what’s in store, check out the trailer below!